Use the latest technology to access your storage. 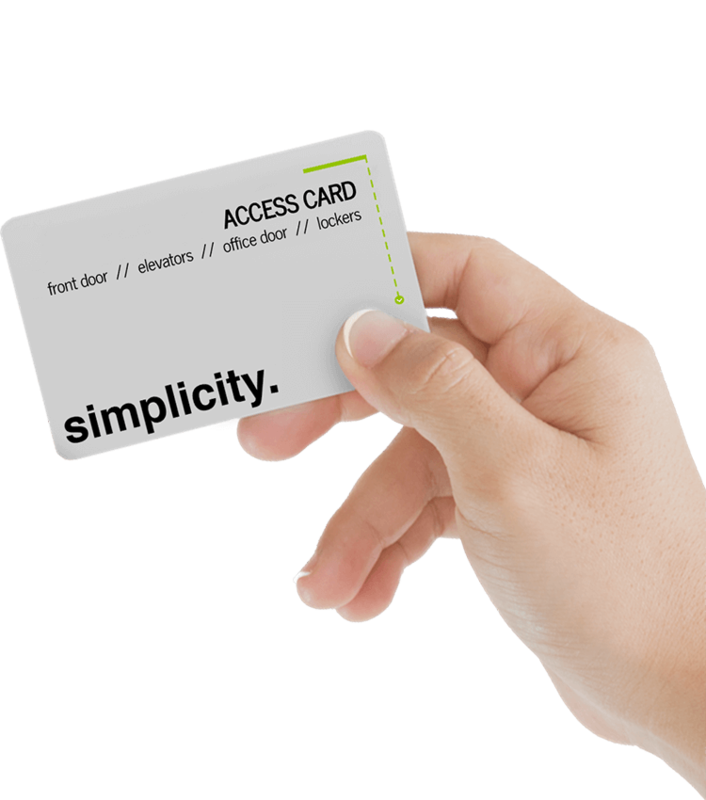 Simplicity smart storage opens with your building access card or by using our Releezme mobile app. We’ll help you set business rules that support your agile working practices and show you how to manage storage access centrally using our optional Releezme software. As well as our management platform, we offer MYPUP software for pick-up lockers. Looking to integrate your smart storage with seating or other furniture? Our convergence line will meet your needs. 95% of all lockers seem to be occupied, but only 50% are being used over a three-month period. Sound familiar? Instead of a lot of storage space, employees increasingly need temporary storage space which is not bound to a specific location. The solution: Simplicity. Real estate is expensive, but by providing personal storage on an as-needed rather than permanent basis, our lockers could save you up to 50% floorspace. 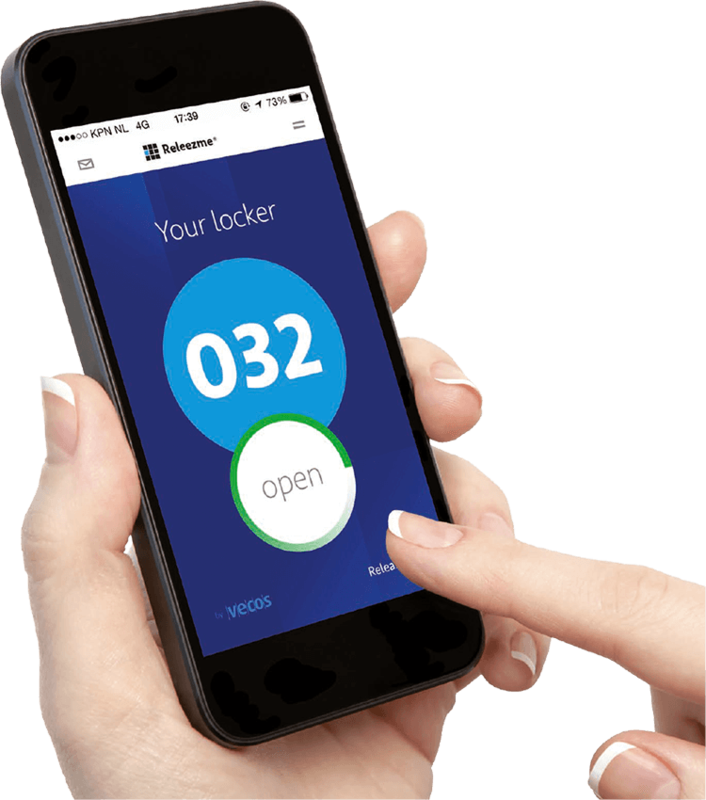 With centralised data capture, our smart locker systems make it easy to track usage, enabling you to satisfy worker requirements and make the best use of available space. Looking to increase productivity and eliminate time spent on unnecessary tasks? Simplicity storage lockers could be the solution. Simplicity makes administration easy - eliminating the need for replacement keys or the quest of returning goods to their owner, seamlessly linking with the buildings access system to produce reports, and reducing the costs of managing storage. With a bit of creative thinking, Simplicity smart lockers can also be used to streamline other areas of your business, such as mail distribution, leaving employees free to focus on helping your business to grow. Let us show you how Simplicity works in a real-world business environment. Vast amounts of trees are still needlessly being cut down every year to provide office storage in today’s office buildings. Simplicity provides the ability to significantly reduce the requirement by over 40%. In addition, this ‘mains powered' solution, provides a far greener solution – typically we see an 85% saving on the running costs of a battery operated ‘dumb' lock, along with no environmental cost of disposal. What’s more, our workplace lockers have components that are recycled, and after use the oranic materials can be turned into biomass – a renewable, sustainable energy source. Protecting the environment is one of the biggest issues facing the world today, and consumers and employees increasingly prefer to do businesses with companies that are environmentally responsible. With enhanced security features such as integrated hinges, push-to-open doors, and even integrated intruder alarms, our smart lockers offer a much higher level of security than traditional storage lockers. So, whether you provide workplace lockers, gym lockers or hospital lockers, your users can enjoy full peace of mind that their belongings are safe. The way in which we work is changing. Agile working, hot-desking and flexible working patterns are becoming the norm, and a mobile, dynamic workforce requires a flexible storage solution. Simplicity helps employees to let go of old habits step by step and get acquainted with the concept of the new dynamic workplace. With Simplicity lockers UK, employees can choose between a fixed locker or a flexible locker, alongside their team storage – all working with one card. Our work lockers can also provide 24-hour access – perfect for people and workplaces that don’t follow the traditional 9 to 5, and our Business Rules allow lockers to be safely shared by shift workers. To request a quote or ask a question fill out the form below.